A veteran samurai, who has fallen on hard times, answers a village's request for protection from bandits. 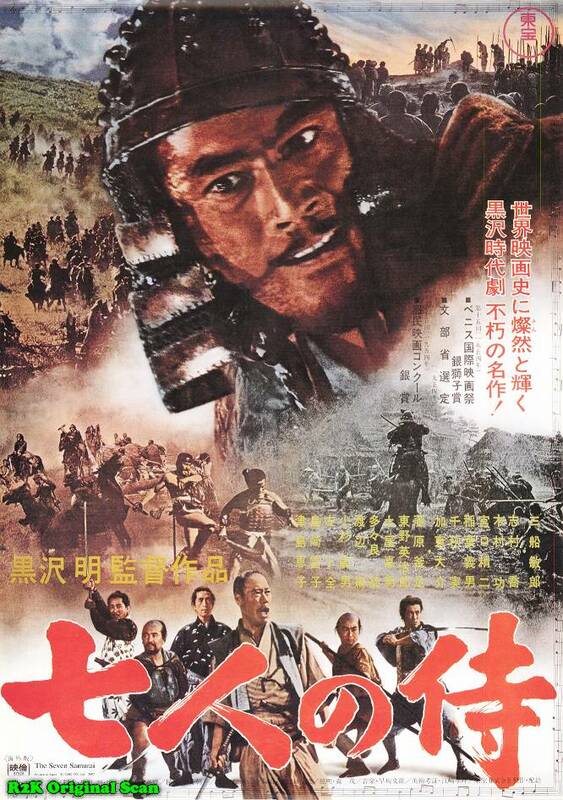 He gathers 6 other samurai to help him, and they teach the townspeople how to defend themselves, and they supply the samurai with three small meals a day. 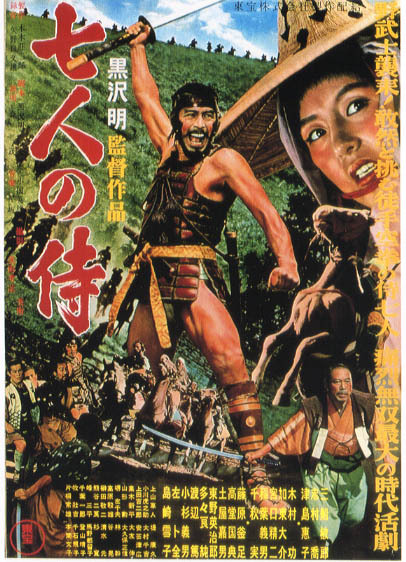 The film culminates in a giant battle when 40 bandits attack the village. A village is constantly attacked by well armed bandits. 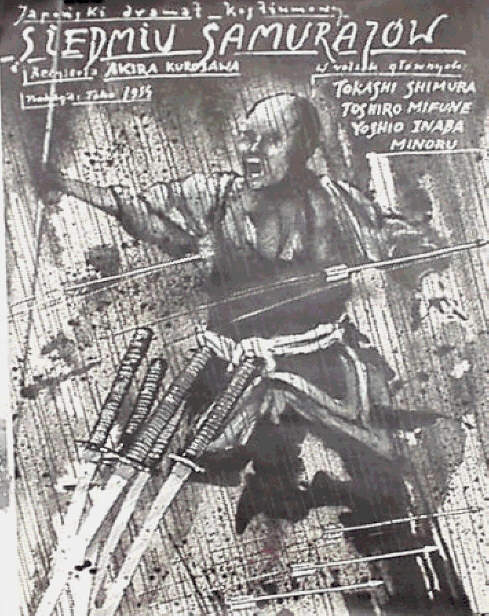 One day after an attack they seek the wisdom of an elder who tells them they cannot afford weapons, but they can find men with weapons, samurai, who will fight for them, if they find samurai who are in down on their luck and wondering where their next meal will come from. They find a very experienced samurai with a good heart who agrees to recruit their party for them. 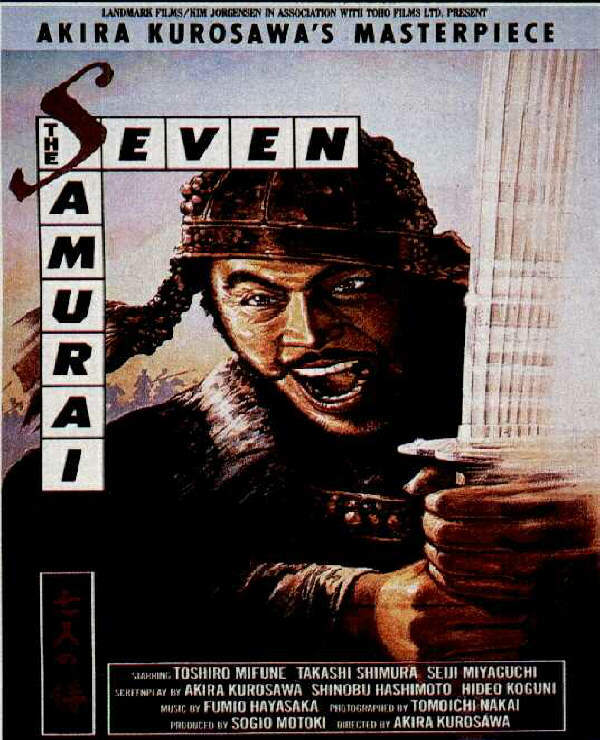 He selects five genuine samurai and one who is suspect but the seven return to the village to protect it from the forty plus bandits. Story-Telling At Its Finest Story-telling at its finest, "Seven Samurai" is a terrific film not because of a handful of memorable scenes or lines, but rather because scene-by-scene, frame-by-frame, it tells an interesting story as well as it is possible to tell it.The story and characters are developed carefully, and everything about the movie, from the settings and props to the musical score, is done carefully and expertly. 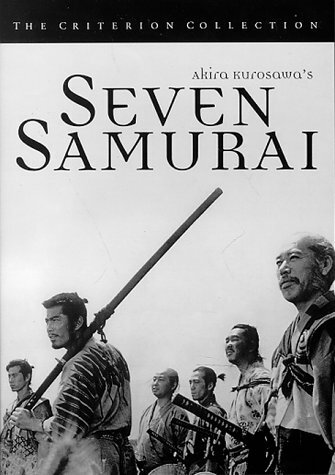 Mifune grabs the attention in most of his scenes, and Shimura's more restrained character is a nice balance.Those two have the best parts, but all seven of the samurai are memorable characters.The sequence of events that collects the seven together occupies the first part of the movie, and forms a perfect foundation for the rest.A few of the villagers are also portrayed nicely, although they are naturally overshadowed when the samurai are around. The story always moves along nicely, with many ups and downs.It has enough unpredictability to keep you interested the whole time, without ever losing its credibility.There is plenty of action, but there is also substance behind the action to give it more significance.The only possible drawback is the long running time (you can always split it up into two installments, but it's more satisfying if you can watch the whole story through at once), but there is little that you could cut out, even if you wanted to.It holds your attention the entire time with a good story and great technique, not by resorting to sensational or sordid details. This movie well deserves its reputation for excellence, and is one that everyone who appreciates classic cinema will want to see and enjoy.